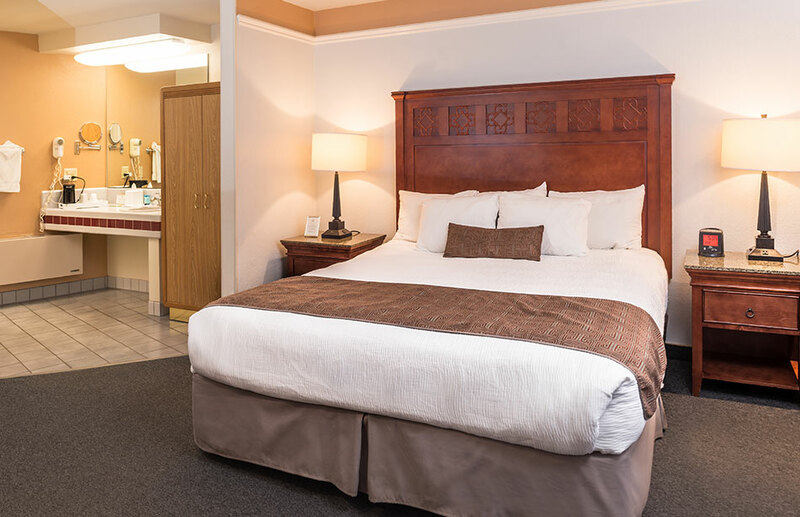 Our affordable lodging in Salinas has our guests returning time after time. 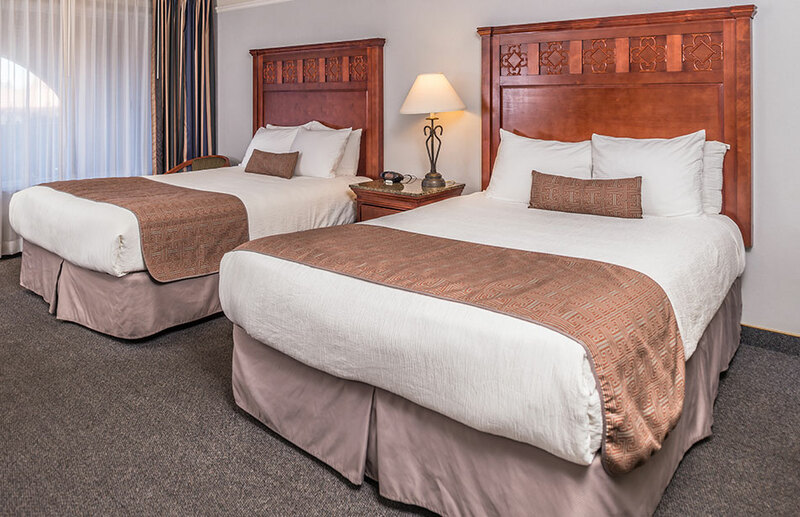 Laurel Inn & Conference Center features several room options to choose from, including Standard Queen and Two Queen Bed Rooms, King and Queen Fireplace Rooms, and Deluxe Suites, as well as accessible rooms and pet-friendly options. 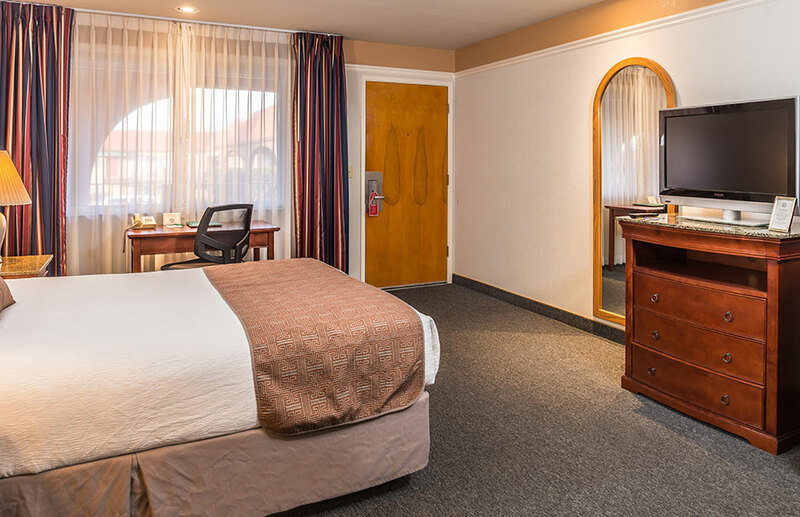 Enjoy in-room amenities including free high speed Wi-Fi, a convenient mini-fridge, a flatscreen TV with specialty cable channels including HBO and more. Book your room online today or contact us for direct booking assistance! 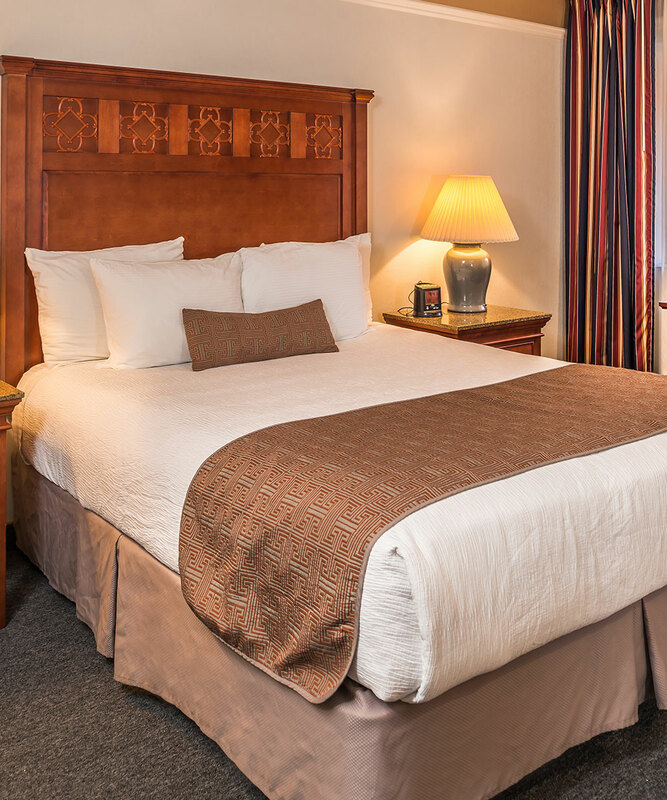 Fall into a gorgeous King-size bed and catch up on your favorite HBO show on a flatscreen TV in our comfortable standard King Room, featuring a mini-fridge and desk area. Additional amenities include a coffee/tea maker, free high speed Wi-Fi, a clock radio, complimentary toiletries, a hair dryer and more. This room offers two lovely Queen-size beds, a flatscreen TV with specialty cable channels including HBO, a mini-fridge and a desk area. Additional amenities include a coffee/tea maker, mini-fridge, free high speed Wi-Fi, a clock radio, complimentary toiletries, a hair dryer and more. 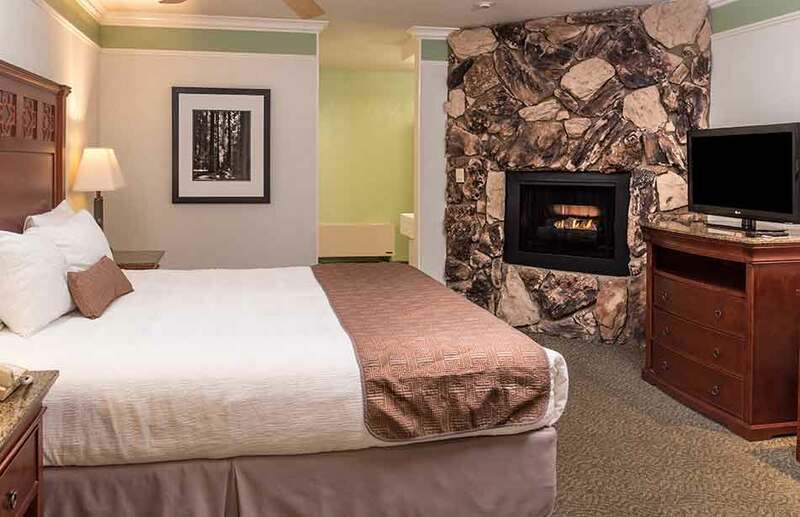 Cozy up in front of a warm fireplace before heading to sleep in your amazing King-size bed in this spacious room. 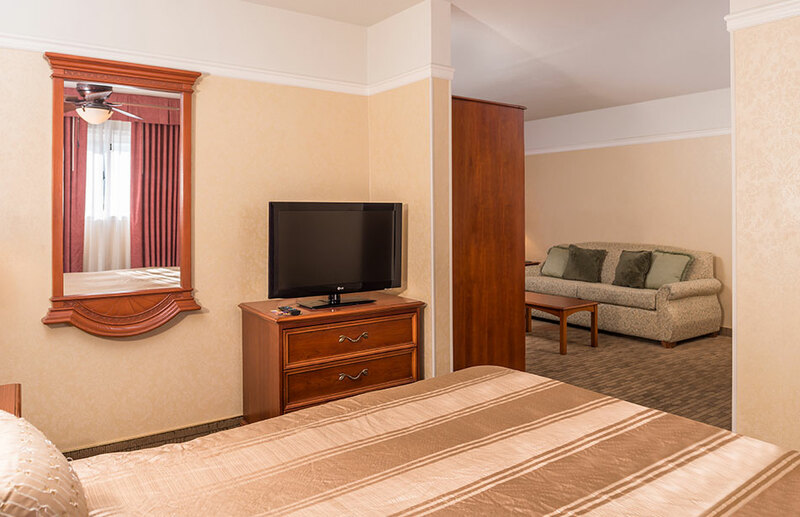 Additional amenities include a flatscreen TV with specialty channels including HBO, a coffee/tea maker, mini-fridge, free high speed Wi-Fi, a clock radio, complimentary toiletries, a hair dryer and more. 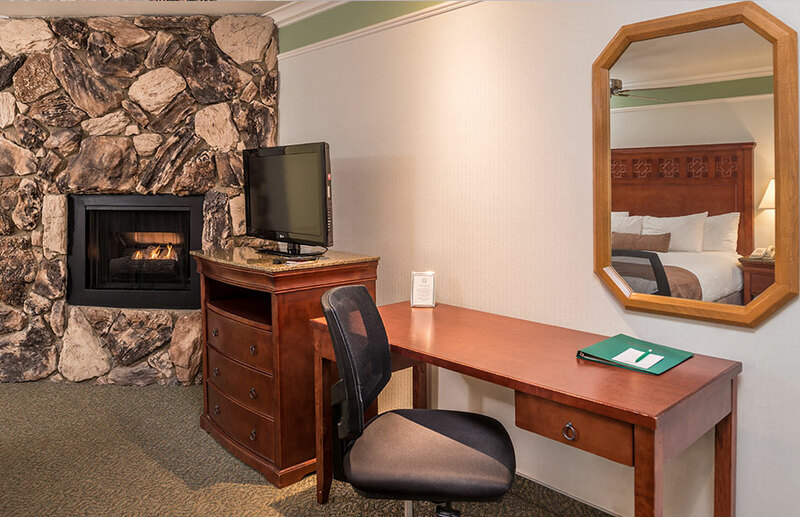 Warm yourself by the fire in this lovely room featuring two comfortable Queen-size beds, a flatscreen TV with specialty cable channels including HBO, a desk area and free high speed Wi-Fi. Additional amenities include a coffee/tea maker, mini-fridge, a clock radio, complimentary toiletries, a hair dryer and more. Perfect for families or shared accommodation, this spacious room features three incredible Queen-size beds, a flatscreen TV with specialty cable channels including HBO, a desk area and free high speed Wi-Fi. Additional amenities include a coffee/tea maker, mini-fridge, a clock radio, complimentary toiletries, a hair dryer and more. Offering incredible space for families or shared accommodation among friends or co-workers, this suite features a cozy fireplace, two comfortable Queen-size beds and an additional Queen-size pull-sofa bed. Additional amenities include a flatscreen TV with specialty cable channels including HBO, a desk area, free high speed Wi-Fi, a coffee/tea maker, mini-fridge, a clock radio, complimentary toiletries, a hair dryer and more. Ideal for business travelers or guests who love more space, this deluxe suite offers a separate living room area with a cozy fireplace and a private bedroom with a dreamy King-size bed. Additional amenities include a flatscreen TV with specialty cable channels including HBO, a desk area, free high speed Wi-Fi, a coffee/tea maker, mini-fridge, a clock radio, complimentary toiletries, a hair dryer and more. 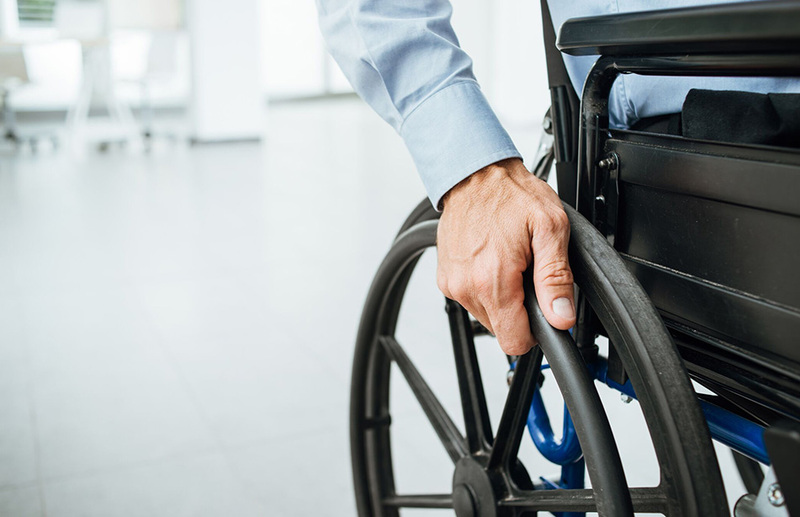 If your search includes hotels with disabled access to amenities and ADA-designated accommodations, you’ve found it! 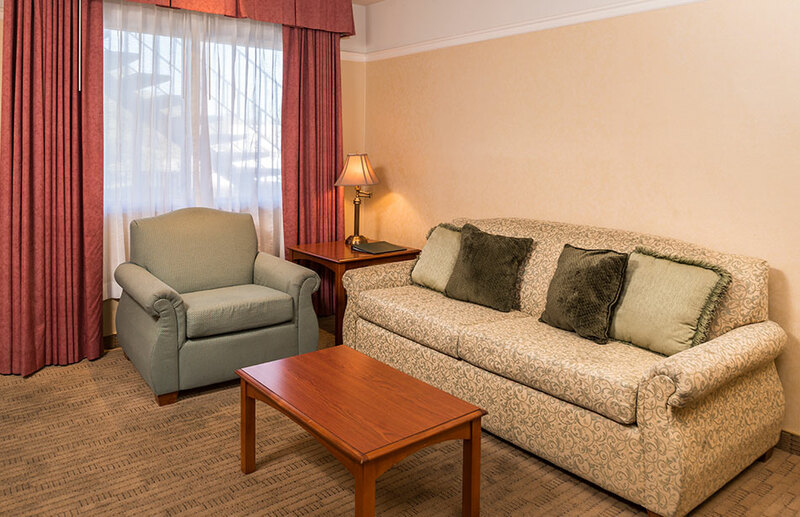 We offer a spacious ADA-compliant room as well as a lift into our pool and hot tub. 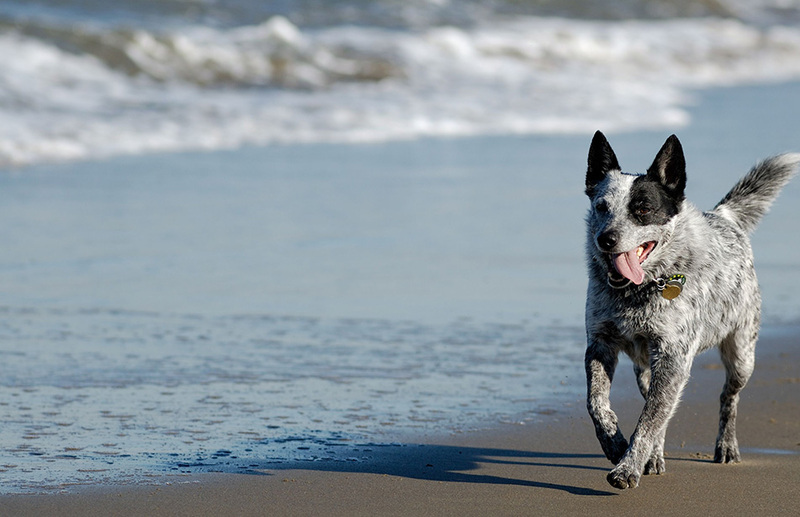 Explore the local area with your favourite four-legged family member with dog-friendly accommodation in our Standard King and Standard Two Queen Rooms at Laurel Inn & Conference Center. Please note: There is a maximum of two animals allowed per room, and a small pet fee of $25 per pet applies. Pets must be 20 pounds or less to stay with us.